Plano Electrician is a reputed name in the electrical services industry across Texas. We have a huge base of loyal customers in Allen, McKinney, Frisco, Plano, Richardson, North Dallas and the surrounding areas. We have a whole bouquet of services that we provide and we are proud to say that we have the best team of electrical technicians and an arsenal of machinery and tools to help us serve our customers in the best possible way. We also offer a wide range of services so that once a customer comes to us, they never have to search for other service providers for any kinds of electrical installation or repair needs. Here is an exhaustive list of the services we provide. The installation and repair of electric panels is one of the most common requests that we receive from our clients. Electrical or Breaker Box is the main source of the electricity running through a building. It also has an energized bus bar in it, which has live current in it at all times. So, it would be a bad idea to open it without proper knowledge of its parts. If your home is more than 15 years old, you may have an outdated electrical panel, which is quite dangerous. The old panels do not provide adequate protection to today’s growing electrical demands of residential, office or industrial establishments. They can short circuit or become fire hazards. Plano Electrician is the most trusted best electrician services agency in Allen, McKinney, Frisco, Plano, Richardson, North Dallas and surrounding areas. We specialize in electrical panel repair and replacements. We only use high quality products with lifetime warranties. The professionals have been working on these machines forever and have a firm grasp of any technical or safety issues that may be there. So, let us inspect your panels today. We can help you if your A/C or heating system has ditched you. It does not matter what make, model or how old your machine is. If it has life left in it, we will make it work. Whether it is the repair and maintenance of the air condition systems or that of the heating systems, our trained and certified technicians can do it all. We can also advise you on the kind of machinery that will work best depending on the kind of establishment you have and the number of hours the system is expected to work for. We will ensure that you do not have to get any more repairs done anytime soon. 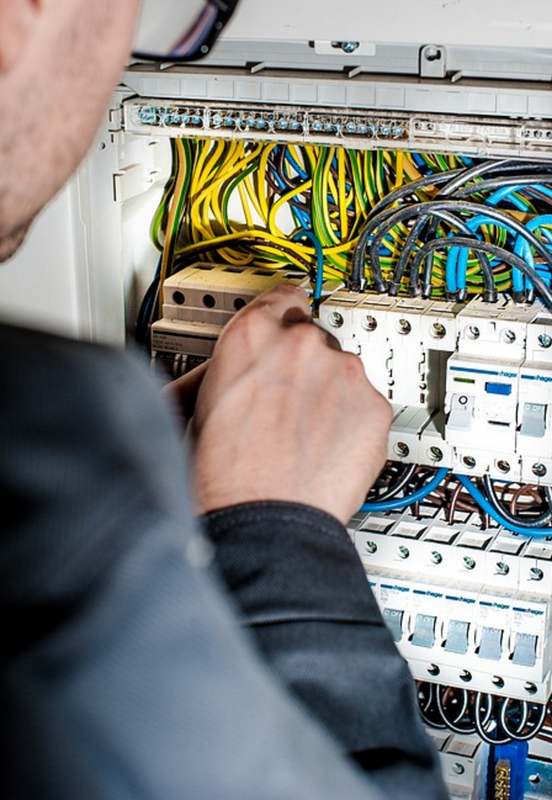 Aluminum wire repair should always be entrusted with the licensed professional services like Plano Electrician to avoid any kind of electrical mishaps. We conduct a thorough check up of the entire wiring to ascertain whether it needs a localized repair or a complete overhaul. This one requires sound technical knowledge, because the technician should know which switches can be fixed directly and where a copper pigtail needs to be added. Although aluminum is quite safe, if proper connections are not made, the switches can become a fire hazard. So, make sure that you call an expert like us for all your aluminum wiring needs. We also provide third party inspection services for residential, commercial and industrial establishments. Whether you need an inspection report for compliance purposes or for your personal satisfaction, you should know that you are in the hands of a licensed service that will lay down straight facts in front of you. We not only check for code compliance, but for any other issues that may arise. We can also make suggestions on the kinds of repairs that you should get done and which ones are absolutely urgent. We provide you with the peace of mind that you and your loved ones are completely safe. If you have a home, an office or an industrial establishment in Allen, McKinney, Frisco, Plano, Richardson, North Dallas and the nearby areas, then Plano Electrician is your local go-to service for anything and everything related to generators. Our technicians can help you install and do repairs on both standby and portable generators of all brands. We understand the importance of having continuous power and make sure that we minimize the downtime as much as possible. We are available for emergency services too, and will come for your help during any time of the day. It is not a coincidence that we are one of the most trusted and loved certified electrician Plano, Tx has ever seen. At Plano Electrician, we firmly believe that our customer’s safety is our primary concern. We follow this mantra diligently in all the services we provide. Moreover, we also offer a complete electrical home safety survey. This includes a thorough check up of electrical panels, fixtures, lighting, heating appliances, and smoke detectors, among electrical systems. This examination will provide you with a complete picture of the electrical health of the house and office, and looming hazards, if any. If the inspection finds anything that requires critical repairs, then you will have averted a possible hazard. If the inspection turns up nothing, then you have the peace of mind knowing that your property is completely safe. Sudden surges in the circuit can cause bursts of energy to be passed on to the electrical devices in the house. This can cause huge damages to expensive electrical appliances and also become a fire hazard, because these machines can burst too. So, it becomes very important to have a system in place that protects your electrical equipment and more importantly, your home and your loved ones. This is where the Home Surge Protection System from Plano Electrician comes into the picture. Our expertise and knowledge will make sure that your home and your appliances are safe and sound, even in the case of an electrical surge. This service is not purely electrical, but also demands aesthetic sensibilities. Landscape lighting just makes everything better and classier. However, it is important to hire experienced professionals, who know what they are doing, because it can get real ugly real fast, if not done the right way. At Plano Electrician, we can make your vision come true, thanks to the years of experience that we hold in the field. There are certain parts of a house or a commercial establishment that should be lit in a certain way to look their most beautiful. Further, you should take a conscious decision regarding the kind of lights that you want your lawns to be illuminated with. We advise you on how each of the options would look and show you the samples of our work, so that you can have a better idea of what you want. Once you have made the decision, we will execute the plan and make your dream landscape lighting happen. If you are frustrated with electrical fixtures, switches and outlets that do not work or are defective, then the best move would be to call a professional service like Plano Electrician. We will repair the faulty electrical circuits, if that is still possible. However, as our experience tells us, more often than not, it is the poor quality of fixtures that cause the problems. We will suggest and even help you procure the best quality products from reputed vendors. Sometimes, it is also possible that there might be a problem with the wiring in the house and we can help you at that too. In the case of an overhead electrical installation, the service wire of your establishment is connected to a pole via an overhead electrical conduit or tubing. When you call Plano Electrician for your overhead electrical service needs, our electricians will first try and understand your power needs, so that they can help you pick the right option for you. We will help you understand what a 100, 200 and 300 Amp services mean and which one is the best one for you – their pros and cons. If our technicians feel the need, they may also suggest you to change the position of the new meter and can advise you whether the present service needs to be moved as well. This is basically the same thing as the Overhead Electrical service with an underground cable making the connection. We offer you advice on which electrical service is better for your establishment and let you make the right decision. Ground fault refers to an unusual flow of electricity from a source to a grounded surface. In simpler terms, if someone happens to touch such a wire when it is experiencing a surge in electricity, they will experience a potentially fatal electrical shock. We will install a ground fault receptacle, which will cut the flow of electricity, if it experiences any electricity flowing to a grounded surface. This is a life-saving fixture and we, at Plano Electrician, strongly recommend their installation to our clients. Our technicians can come to your house to inspect and advice you if you do need a Ground Fault Receptacle. In case they find any need to install the system, and our client is interested, our technician will install one right away. We are a customer centric organization and make sure that the customer is always placed first, no matter what. We strive to make our services more useful and accessible to all the people in the region. This is why we also emergency services, complete customer care services and custom services. We are a full service electrical services’ company that caters to any and every electrical need of our clients and more importantly, at any time of their need. You can call us anytime. We work 24 hours a day and seven days a week. Holidays or weekends, day or night, you can call us and we will be there at your doorstep. If you call us with an emergency, we will come at the earliest. Your safety and comfort is paramount. So, just tell us what you need and we will come prepared to your doorstep. Our customer care service is prompt and knowledgeable. If you call us for the first time, our customer care executives will patiently listen to your issues, understand them and offer you solutions. They can also provide you a ballpark budget for the project, so that you can spend some time to thinking on it, and make a decision accordingly. If you are already a customer and are calling to resolve a grievance, the executive will make sure that a technician is dispatched right away to mend the problem. Our customer care service is extremely friendly and accessible. Our army of technicians is a smart, skilled and polite group of individuals, who are always ready to help the customer. You can easily differentiate our executives from the rest. They are dressed sharply and always come prepared. They are all experienced individuals who have a good reputation in the industry. They all have gone through a thorough process of selection and they are not appointed without a proper background check. They are trained and certified individuals, who are loaded with the latest tools to resolve any type of electrical issue at hand. We, at Plano Electrician, strive to offer you the best of services, irrespective of whether you are a residential or a commercial client. We can create custom offers for you. We will also help you procure high quality fixtures and other equipment at the best prices from our suppliers. We can work during night, day, weekends, or during holidays, depending on your convenience. Many businesses want us to work on holidays, so that there is minimum downtime and we happily comply with that. Even when we work on a working day, we make sure that we work quietly and in an area that has been secured to prevent any mishaps from happening. Plano Electrician is the best service in the entire Texas region. The quality of our electrical services is unmatched. Now, combine that with the affordability of our services and you have a formidable mix. So, whether you are a homeowner or a business, get in touch with us and we will help resolve all your electrical issues.